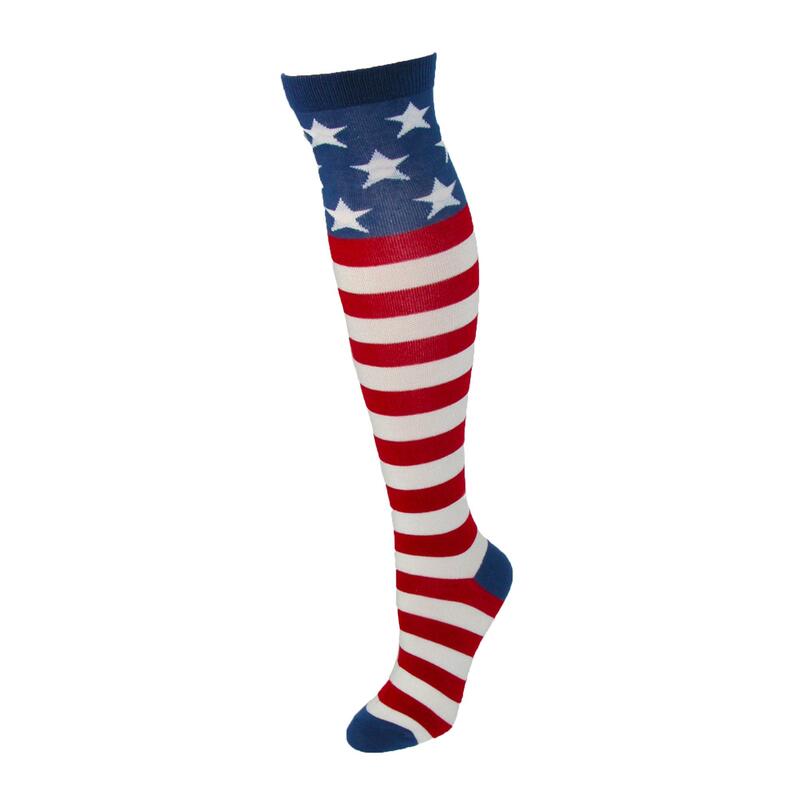 K. Bell Women American Flag Stars and Stripes Knee High Sock. This American flag knee high is a perfect patriotic addition to any holiday or every day outfit. The knee design measures 14 inches high and has a one inch elastic band to ensure sock stays in place. A fun American flag print has red and white stripes with blue back ground. Walmart marketplace seller BeltOutlet specializes in sale-priced clothing and travel accessories for men, women and children. We carry quality belts, wallets, headwear, cold weather accessories, socks including Knee & Thigh High Stockings for Women. Many items have reduced or rollback prices and most orders ship within one business day.